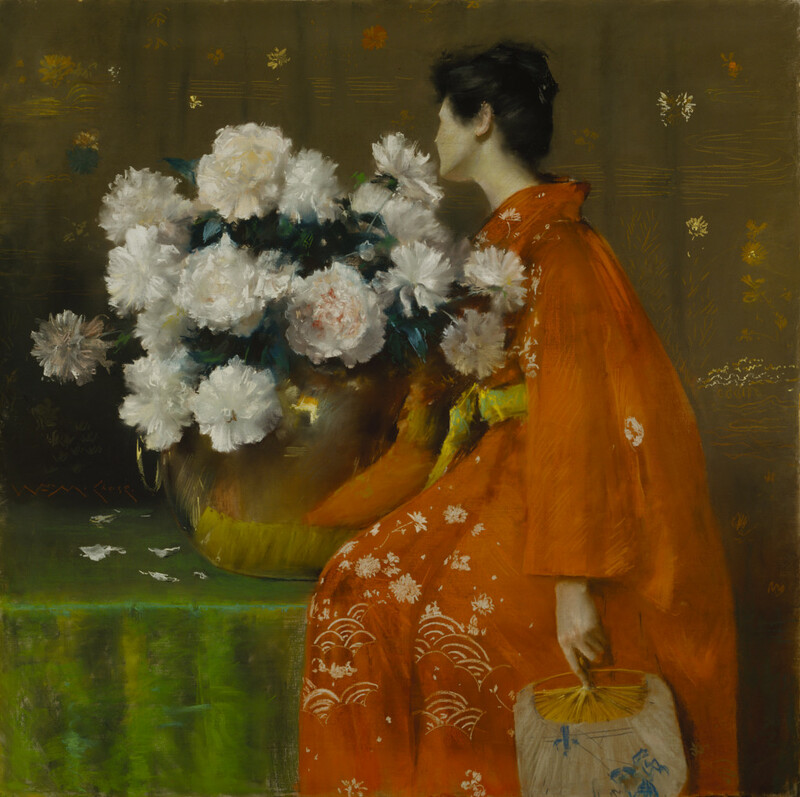 Chicago, IL—The Terra Foundation for American Art announced today William Merritt Chase: A Modern Master, the first retrospective of the artist’s work in more than three decades and the first to travel internationally. Co-organized by The Phillips Collection; the Museum of Fine Arts, Boston; Fondazione Musei Civici Venezia; and the Terra Foundation, the exhibition opens at The Phillips Collection (June 4–September 11) before traveling to the Museum of Fine Arts, Boston (October 9, 2016–January 16, 2017), and the International Gallery of Modern Art, in Venice, Italy (February 10–May 28, 2017). William Merritt Chase showcases more than 60 of the artist’s best works, including portraits and figurative paintings, urban park scenes, domestic interiors, still lifes, and landscapes, from all phases of Chase’s four-decade-long career. Among them are Morning at Breakwater, Shinnecock (c. 1897) and Ready for a Walk (c. 1885), masterpieces from the Terra Foundation collection. The exhibition also includes several fine examples of Chase’s pastels. A co-founder of the progressive Society of American Painters in Pastel, Chase was a leader in the late nineteenth-century revival of pastel painting and one of its most innovative practitioners. Throughout his career, he experimented with pastel alongside his work in oil, translating the painterly qualities of wet color to the velvety effects of dry pigment. Trained in Germany, Chase traveled and exhibited in Europe throughout his career, and made a second home in Italy toward the end of his life. Through his painting and teaching, he led a generation of American artists toward international recognition. In addition to being a curatorial partner, making a grant to each venue, and lending works to the show, the Terra Foundation sponsored three pre-exhibition convenings, which enabled the organizers to come together and fully explore and articulate the international context of Chase’s paintings. Elsa Smithgall, curator, The Phillips Collection. The catalogue also includes an essay by John Davis, a prominent Americanist and Terra Foundation Executive Director for Europe and Global Academic Programs, and a foreword by D. Frederick Baker, director of the Chase Catalogue Raisonné Project.